The East Africa Safari tour destinations of Uganda, Kenya and Rwanda formulated a joint tourism marketing committee with a range of intentions among which included joint marketing at the forth coming World Travel Market London. The world event which will run from 7th – 9th November 2016 is one of the remarkable meeting points for world travel agents and tour operators among which include those that package Uganda Safari tour products. The initiative noted to be the first of its kind to have all the three East African countries marketing under a joint platform in London looks to be a great stimulant to the regional tourism growth and development. The Uganda’s State Minister for Tourism Wildlife and Antiquities Hon. Godfrey Kiwanda notes that the 2016 exhibition will particularly be unique for Uganda considering the ground work that has been done by Kamageo – the Uganda’s public Relations firm operating in United Kingdom and Ireland and for the greater East Africa because of the work done by the East African platform. The range of 20 Tour Operators and the Government Agencies will attend the exhibition this year. These will add on the range of others that represented Uganda in 2015 among which included Prime Uganda Safaris and Tours Ltd. The Joint East African Tourism marketing committee will hinge on a range of common factors among which include the Single East African Tourism Visa that has been in operation for years allowing the world travelers on Safaris in East Africa including the Gorilla Safaris to Uganda and Rwanda visit the destinations of Uganda, Rwanda and Kenya using one Visa obtained at the first port of entry for a period of up to 90 days. 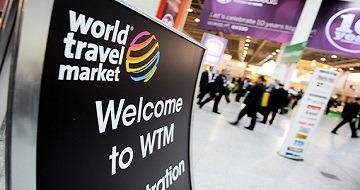 The World Travel Market is a re-known world event that brings together industry professionals to discuss a range of trade deals.